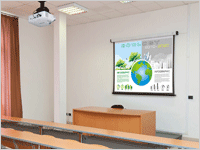 With TCO substantially reduced by their long-life light source, low energy consumption and filter-free design, CASIO Lamp Free projectors afford a wide range of value for use in everything from business to education. Total cost of ownership (TCO) includes not only the projector’s purchase price but also all the expenses incurred during its lifetime of operation. 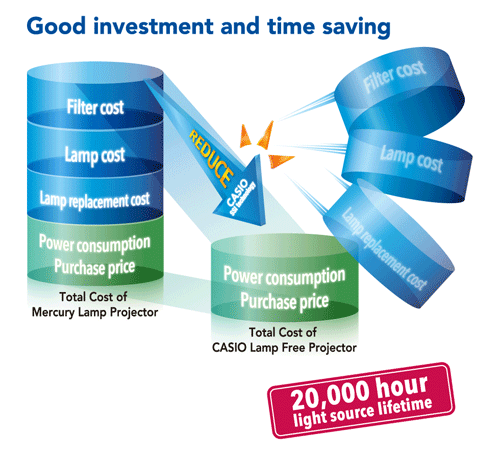 Casio’s original SSI Casio Lamp Free Projector * light source with its extremely long lifetime of 20,000 hours and low power consumption realizes exceptional cost performance compared with conventional mercury lamp projectors through savings on expenditures for lamp replacement and the associated labor and lost operating time as well as for electric power. 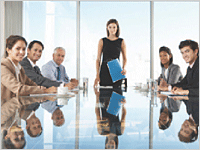 Casio projectors are equipped with an SSI *Casio Lamp Free Projector light source employing the most advanced light source technology. 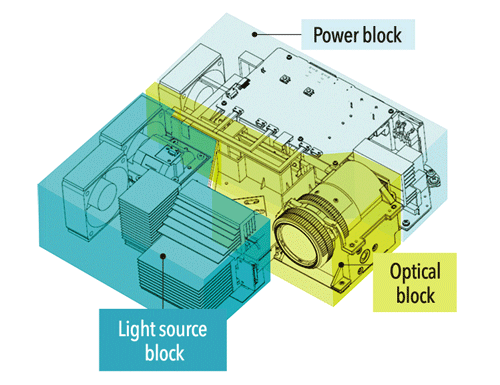 Although the use of mercury is widely prohibited worldwide today, this hazardous substance continues to be employed as a light source for conventional projector lamps. 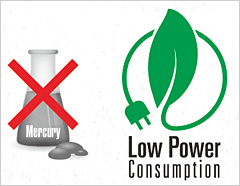 Casio has eliminated the use of mercury from its products in consideration of the environment. Adoption of an SSI light source, combined with Casio’s original energy-saving design, also contributes to reducing CO 2 emissions. 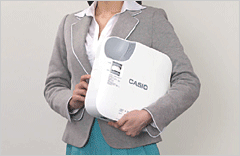 Casio projectors achieve a startup speed far exceeding that of conventional mercury lamp projectors. Free from the conventional projector’s need for both warm-up and cool-down time, moreover, they also achieve a fast, convenient restart after use. The XJ-V1 saves on lamp and filter replacement costs and power consumption. It also has an incredibly affordable purchase price close to that of mercury lamp projectors. The XJ-V1 provides the best TCO performance in the industry. 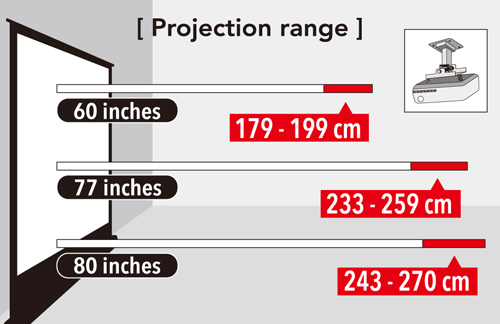 For 80-inch projection, the XJ-V1 can project from a distance of 243 cm to 270 cm. It is easy to install on the ceiling * , which saves money at the time of projector replacement. * Regular cleaning of the intake and vent is required.